The Austin Public Library has a zine collection! Share your work with the community by donating a copy of your zine, or pass along a favorite you think we should have. See the Zine Donation FAQs below for more information, and please Ask a Librarian if you have further questions. Where do I bring the zines? Does the Library buy zines? What kinds of zines can I donate to the APL Zine Collection? How many copies can I donate? Can I donate a large collection? What happens after the zine donation? Where do the zines end up? Can people check them out? While we wish we could compensate all contributors to the zine collection, our budget for buying zines is very small. Donating your work is the best way to add it to the collection and to help ensure equal opportunity for inclusion and the representation of different viewpoints. APL also welcomes suggested purchases via Ask a Librarian. Zines should be predominately hand-crafted and geared toward adults, though they may additionally be of interest to teens. We do not collect zines for children. Our collection is mostly in English, but we’re open to other languages, especially Spanish. They can be zines that you personally created or zines made by other people. The APL Zine Collection is focused on but not exclusive to local Austin or Texas zines. If you are unsure whether your zine would be a good fit for our collection, please contact us with details before donating. The APL Zine Collection adheres to the Austin Public Library Materials Selection Policy. We would like only 1 copy of each zine title, or 1 copy of each issue if the zine is part of a series. If you intend to donate more than 10 different zines, please see the next question, "Can I donate a large collection?" If you wish donate more than 10 different zines, contact us first to tell us about your proposed contribution. We will determine whether to accept it based on the condition and content of the items, as well as our space and resources to accommodate them. While we would love to take everything, the collection is not meant to be an archive. We do have some older zines (from the 1990s), which is great, but we prefer newer items in good condition (meaning not dirty or ragged). Additionally, we are interested only in zines. While this designation has fuzzy boundaries, we do not accept newspapers, newsletters, magazines, art show or theatre programs, personal correspondence and so forth. If, after discussion, we take your full collection, we will review the items and decide whether or not to include them on a case-by-case basis. In the case of unwanted items, we can either contact you to pick them up, or we can recycle them. Items of special interest to Austin may be sent to the Austin History Center. All donated zines are designated with a small gold foil star. To support the discovery of local creations, zines from Austin will have a small Texas flag sticker marked ATX. Zines from authors elsewhere in Texas will get a plain Texas flag sticker. Non-Texan zines will get no awesome flag sticker—but we definitely still welcome zines from beyond Austin and Texas! All zines get a Library Use Only sticker or stamp on the back. 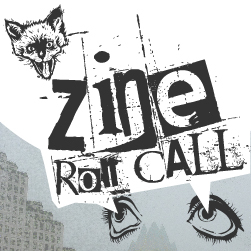 A list of available zines is available at the physical collection site and is posted online. Zines that become excessively dirty or ragged beyond repair will be recycled. Zines are shelved at the Central Library. Everyone can enjoy the zines within the library, but they cannot be checked out, nor can they be transferred to other library locations.